A comprehensive Industrial Revolution history guide with facts and information on one of the most important events in British history. When studying the industrial revolution it can be easy to get lost in the amount of detail from the period. Alot happened in just 150 years and it can be difficult to choose which key events are most significant. This Industrial Revolution facts page will provide you with some of the key facts of the period and give you a key overview of this significant event in British history. It’s easy to become overwhelmed but we hope some of the facts below will help in identifying key moments for you which you can then research in further detail if required. Our industrial revolution information portal should assist you in finding more detail on a specific subject however some of your essays or worksheets may just require some of the key points of the period. : Before the industrial revolution manufacturing was done in peoples homes. This was commonly known as the domestic system. : Initially Factories were commonly built near rivers so that water power could be used for the day to day running of machines. : The Darby family discovered how to make cheap iron at their iron works in Coalbrookdale. Historians labelled them the cradle of the industrial revolution. : In 1700 most people lived and worked in the countryside. This would change over the course of 150 years dramatically. : Three of the most significant machine inventors were James Hargreaves, Richard Arkwright & Samuel Crompton. They invented the Spinning Jenny (1765), Water Frame (1769) and the Spinning Mule (1779). These three inventions shaped the initial factors of Britain. 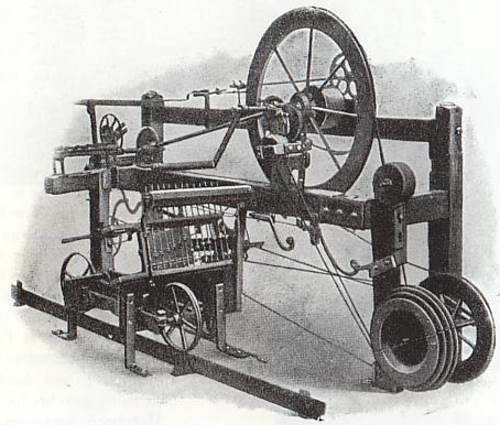 : In 1787 Edmund Cartwright invented the power-loom. By 1829 there were over 49,000 power looms in mills across Britain. : By 1800 there were approximately 1,250 steam engines running in Britain. : In 1700 only 2.4 million tonnes of coal were mined in Britain however by 1900 this had risen to 224 million tonnes. : Having been saved by the famous Darby family the iron industry grew from strength to strength within the industrial revolution and by 1850 over 2 million tonnes were made in Britain; half of the worlds supply! : Britain introduced canals within the industrial revolution to reach areas which couldn’t be reached by sea. By 1825, 1,500 Km of canal had been constructed. : Engineer Isambard Kingdom Brunel created the first steam powered ship the ‘Great Western’ which changed the way we built ships. : By late 1700’s most towns had their own local newspaper. : In 1840 Samuel Morse invented the Morse code to send quick messages along the wires. This is still used today. : Anthony Ashley, the 7th Earl of Shaftesbury questioned the working conditions within the factories on children and he campaigned for new laws and the first reform. He was responsible for the 1833 Factory Act. : The 1833 factory act ruled that children couldn’t work in a factory until the age of 9 and children between 9-13 could only work 8 hour days with two hours of schooling too. : A group led by Ned Ludd known as ‘the Luddites’ began to attack factory machines across the North between 1812-1814 in protest against the working conditions of factories. Factory bosses were threatened and in some circumstances murdered as a result. : Seventeen of the Luddites were arrested and executed in York in 1812 with others transported to Australia. : Trade Unions began as a way to improve wages and working conditions but were swiftly banned by the government between 1799-1824 with members persecuted. 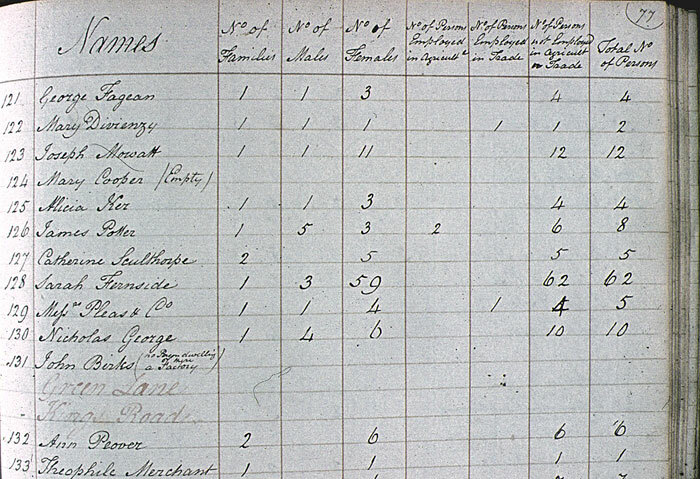 : In 1801 the first census in Britain was taken with a population of 8,892,536 with England and Wales and another 1,608,420 in Scotland. : To this day every 10 years a census is taken to monitor social trends and population. : By 1851 the census recorded a huge change in population with Britain now accommodating close to 21 million people. Half of these now lived in towns or cities. : Between 1801 and 1871 the population of London grew from 959,000 to 3,245,000 as a result of industrialisation. : Disease was common within the industrial revolution due to overcrowding in cities. It is estimated that over 50% of children in Manchester died before they were 5 years old in the 1840’s as a result of disease. : Public Health Acts began to be passed to improve sanitation and provide all towns and cities with clean drinking water. Copyright © 2010 - 2019 · Industrial Revolution · All rights reserved. Brought to you by CB Media.